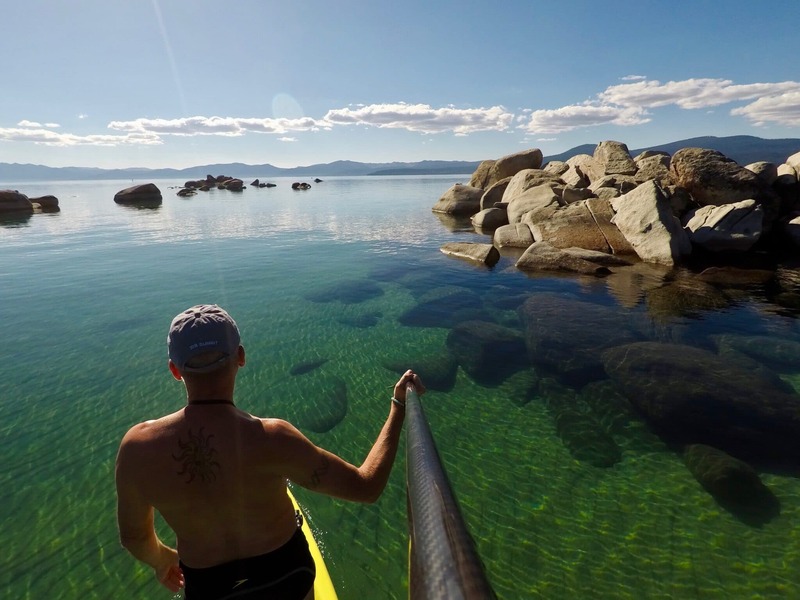 How cold is Lake Tahoe? Below an average depth of 900 ft, water temperature is a near constant 41 °F. Over the last 10 years, monthly surface water temperature averaged 41.9 °F at its coldest in February and 65.7 °F at its warmest in August. Daily maximum surface temperature can reach 75 °F. Over the past 38 years, water temperature warmed an average of 1 °F from top to bottom and monthly water surface temperature increased 1.6 °F due to global climate change.